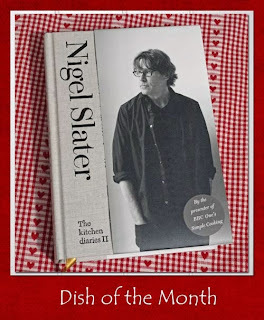 In the November chapter of Nigel Slater's the kitchen diaries II there are all kinds of warming dishes for those cold damp days as autumn draws to a close and winter begins. One of these is Slow-Baked Sausages, pork butcher's sausages cooked with dark beer, onions and brown sugar. 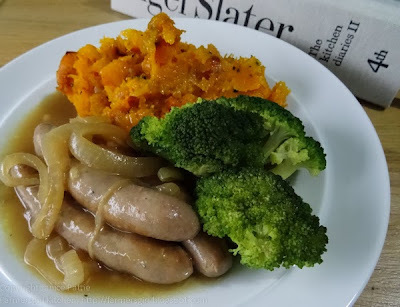 Nigel suggests serving the sausages with mashed potatoes, but I served my sausage dish with roasted and mashed butternut squash and some fresh green broccoli as a bit of a contrast. The rich beery gravy worked really well with the sweet butternut squash and the sausages were tender and meaty. 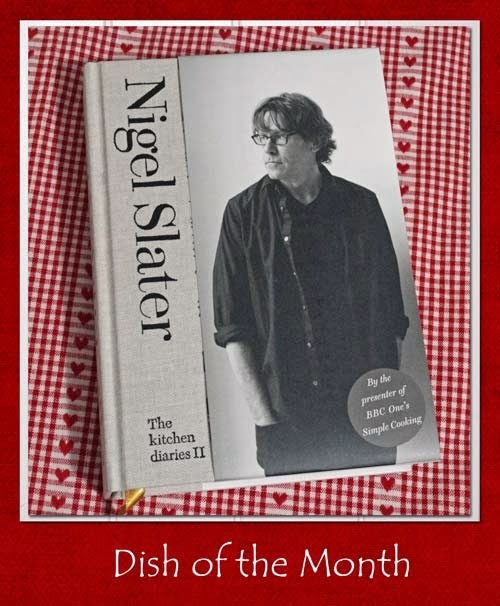 Another big success from Mr Nigel Slater! I'm really looking forward to watching him with Countryfile favourite, Adam Henson, on BBC 1 from 20th November for Nigel and Adam's Farm Kitchen. Mmm, sounds and looks lovely!